Let the memories begin! Disney's motto is written all over the flags that adorn the outside of their theme parks. We were giddy with anticipation on the outside gates of Disney's Magic Kingdom at about ten minutes until opening time while we slathered sunscreen all over us and prepared for a day of fun as we park-hopped all across the four theme parks. We decided this would be the cheapest way to experience the parks - and yet it still cost us an arm and a leg for four people. We'd better have fun! Memories of my childhood came flooding back to me like a tidal wave. We spent a lot of time at Disney when I was a kid - but it was the one over in California (Disney Land). I teared up a bit as the Mayor came out, along with all of the Princesses and characters waving and welcoming all of us at the gates as we counted down from ten to one and the gates magically opened to our day of fantasy and adventure! We squeezed through the narrow gates of the park entrance with thousands of other people who imagined this might be a good week to come, since it wouldn't be so crowded (yeah, right - it's Disney!) and were face to face with Main Street USA. All the people who were working in the stores were standing outside in their fun and bright costumes, waving and smiling - so happy to see us! It was all so "perfect". Walt Disney has managed to tap into something inside of each of us that few people have managed to tap into. What is it? Fantasy? Dreams? Wishes? Magic? It's amazing to me that Walt Disney was fired from a job as a young man for not being creative enough. There's something about this place that makes everyone who goes there turn into a fool to experience it. We spend outlandish amounts of money for this experience. We travel great distances. We purchase over-priced food and souvenirs. We walk at least ten miles in a day and endure crowds of people that would normally make us run for the hills. There was even a recent news story of a woman who tried to sell her newborn baby for $15,000 to take her other children to Disney World. Unbelievable. I'm telling you - this is powerful. I'm intrigued. As the morning progressed, we found ourselves looking around as we stood in long lines, watching small kids come unglued as they were tired, hot and done with all the "fun". People were getting frustrated and complaining about the heat, the crowds, the waiting, the price. Then a minute later they would pose with a Disney character and all would be well - everyone smiling. I know I may seem cynical and I sincerely apologize if it seems that way. But I am really struggling to understand what it is that we are all drawn to in this fantasy world that doesn't really exist? Where is the authenticity of this fantasy land? Is it that what we're drawn to, after all - a place where everything seems perfect and filled with joy, laughter and unity? If so...why are we looking here? Friends, as much fun as we had in between the frustrating parts of our Disney trip the other day (and I will admit - it was fun - I'm not trying to deny that! 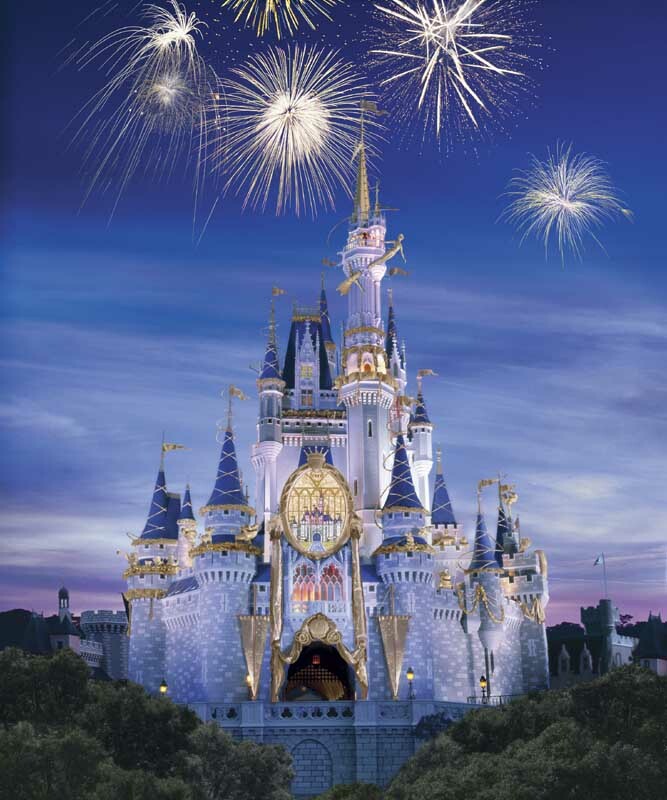 ), The Magic Kingdom has nothing - and I mean nothing - on The Kingdom of God. And His Kingdom is one that lasts forever. I'll never have to go back. That is something I'm willing to be a fool for. I suppose that's why I do what I do - speak and write about His Kingdom. I think this is why Walt Disney was able to tap into that place in all of us that has made his earthly kingdom very rich...we all have a place in our hearts and souls that longs for this Kingdom. Oh, friend, can't you see it? Listen....everyone is eager to enter into God's Kingdom and it can only be entered through a narrow gate, but must be entered into by those who are like children (Matt. 5:3, Matt. 7:13 & Luke 16:16) It is goodness and peace and joy - only it's authentic because it's based on God's Spirit, not a fake smile given by someone who's not really feeling joy down deep (Romans 14:17). It's a place where we will share in God's glory and be where Jesus Christ is (not a fantasy land with a pretend mouse that has a squeaky voice) and it will be unshakable and will stand forever! (1 Thess. 2:12, Hebrews 12:28, 2 Peter 1:11; Daniel 2:44). Maybe the reason Walt Disney is such a genius is because he's discovered how to market that void in all of us that screams for filling from God and he's shown that when it's tapped into, people are willing to do just about anything to fill it. It's a place that God put inside of each of us so we would search for Him. Disney is an expensive and temporary substitute that satisfies us only for a moment...but it can never replace that void inside all of us that is specifically there for God's Kingdom. We yearn for it with everything in us...and though it cost Jesus everything to offer us this Kingdom, it won't cost us a cent. He just wants our heart. Do We All Pray to the Same God?